Mexico is a country thriving with unique culture and history. As the country in Latin America with the highest amount of tourism, Mexico offers a variety of opportunities to explore its ancient historical landmarks or indulge in one of its many unique resorts right on the coast of the Gulf of Mexico or the Pacific Ocean. These Mexico travel tips will help you plan your next vacation. Outside of major tourist zones, stick to bottled beverages and avoid ordering any uncooked food items like salads, especially outside the major tourist zones. Beware of ice cubes that may have been made with tap water. Tipping in Mexico is not only customary but is expected and appreciated in return for good service. Money should be withdrawn from ATMs or exchange bureaus during daylight hours and inside shops and malls rather than on the street. Travellers should only use ATMs that are affiliated with national banks, such as Banamex, Banorte, Santander and/or Bank of Nova Scotia. It is recommended not to hail taxis off the street in major cities, especially after dark. However, if you do hail a taxi, make sure you are able to effectively communicate your final location to the driver as many drivers in Mexico do not speak English. The typical weather of Mexico varies as you move north toward the United States, West toward to the Pacific Ocean, East toward the Caribbean and South toward the Equator. It is these factors that affect the climate as well as varying elevations across the country. Shawl /Scarves – Travellers should carry a shawl or scarf to cover bare arms or a plunging neckline, in cases of visiting churches, to shield themselves from the sun or cover up if it becomes chilly. Pack loose clothing with breathable fabric – cover up with a fabric you know will breathe. Tunics are a great option as they can be dressed up or down, are lightweight and offer good coverage. Long pants should also be worn if you heading to see some ancient ruins as they will protect against insect bites and scuffed knees from climbing up steep pyramids. Footwear – Pack a pair of lightweight, durable and comfortable shoes. Colonial cobbled streets can be treacherous so wear good walking shoes. Water bottles – Though the water quality in Mexico has improved in recent years (especially in popular travel destinations) it’s safest to avoid drinking tap water. If you’re visiting a rural area, be sure to use bottled or boiled water when brushing your teeth. Swim with Whale Sharks – They may be the biggest fish in the sea, but they are gentle giants. Growing to lengths of over 12 metres (40 feet) whale sharks are impressive to see. Adventures in Cenotes – Cenotes are underground caves filled with water. Some have large openings while others are small and narrow. A Cenote adventure is an amazing way to explore them doing zip lines, rappelling and snorkelling inside these incredible natural wonders. Scuba Dive in Cozumel – In 1961 Jacques Cousteau declared the area as one of the most beautiful dive sites in the world and with crystal clear water boasting visibility to 40 meters (120 feet), we can see why! Have a Spa Week – Rancho la Puerta is located on 3000 acres of farmland, meadow and gardens tucked beneath Mount Kuchumaa aka Sacred Mountain. The Spa offers an array of activities and each hour there is no less than 5 different classes to choose from. 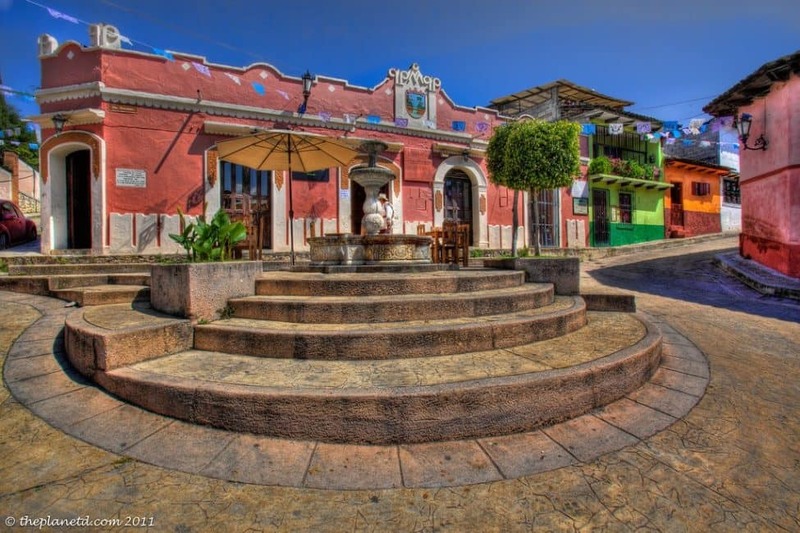 Go Local in Playa de Carmen – why check into a hotel when you can rent your own apartment? Explore Rio Secreto – 12 km of underground rivers to explore and you don’t need a dive certification! Visit the Maya Ruins of Tonina – Tonina is the highest Mayan Temple in Mexico and Central America because it is built on a hill, it makes for a spectacular view. Spend some time in La Paz – La Paz is perfect blend of a sleepy Mexican town with all the amenities of the big resort towns like Cabo San Lucas and Cancun.